This has been a common question that many have been asking over the past few months in order to know exactly wha is required to open a medical marijuana dispenser. A guide to build marijuana pharmacy ought to cover or include all the essential information that you require in order to decide whether this business is a great match for you. It shsould also include the startup costs, target market, legal requirement, growth potential and much more. Read on this article although that it is still recommended that you consult an attorney for advise on the requirements from the law. Typically, the marijuana pharmacies usually buy marijuana from vendors and sell it to the medically qualifying patients. These dispensaries have a physician on the BOD who helps ensure that the patient treatment matches to the standard accepted practices. They also should have highly trained staff who are educated on a continuos basis about the various strains and forms of marijuana as well as their medical purposes. These cannabis pharmacies provide patients with alternatives to the pain killers that could have harmful side effects if used in the long term. For you to be able to start a medical marijuana pharmacy, you ought to have some background knowledge of the medicinal properties of weed. This helps you determine whether the patients who come to purchase the medical marijuana are genuine or not. Moreover, you need to have negotiation skills to bargain for the best prices from growers, have managerial skills, interpersonal skills for effective communication with customers as well as accounting skills. One of the most significant costs of opening a medical marijuana pharmacy is that incurred while obtaining a license.In most of the states where the medical cannabis dispensaries are legalized, application for a license costs around $5,000. However, this cost may vary from state to state as the capital does which could be as much as $250,000. Also, if you plan to grow your own marijuana, you have to pay an extra grower’s license fee as required by the law. You also ought to consider the monthly rent, office supplies, security system and other costs. In the cannabis industry, there are usually more restrictions on advertising when compared to other products. Creating a blog on your business’ website could be a great way to eductae the existing and potential customers about your products. Also, social medial can turn out to e very effective in terms of promoting sales and the experts suggest featuring your best products and also try offering great deals or referral incentives to attract more customers. In terms of the legal considerations, each and every state that has legalised opening of medical marijuana dispensaries has its unique laws that govern the sale and distribution of the product. However, most of the states usually recommend a business to obtain a resale certificate, generic seller’s permit or even both. In certain states, e.g. California, it is a legal requirement that the medical dispensaries be opened as non-profit businesses. 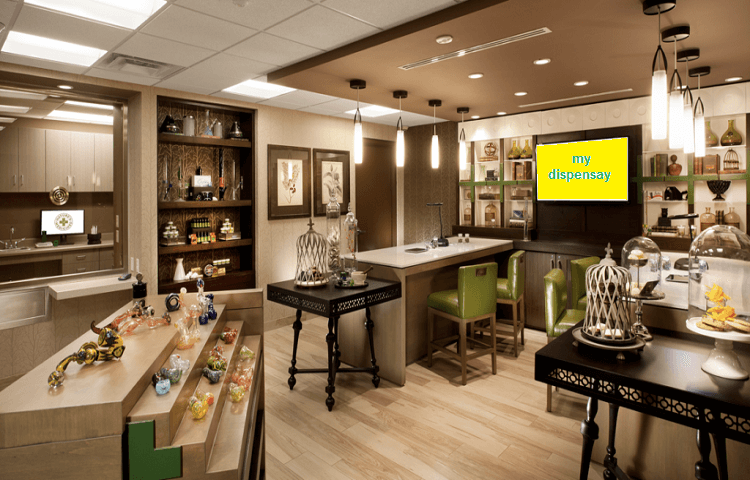 This guide to build marijuana pharmacy has recarped most of the basics of what you need to know before starting a medical cannabis dispensary. The most important thing is that you ensure you follow the state rules to prevent your license fro getting revoked or even from getting prosecuted.